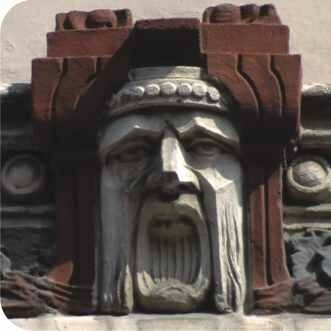 Riga is a veritable Art Nouveau metropolis, the European city with the most Art Nouveau architectural work. 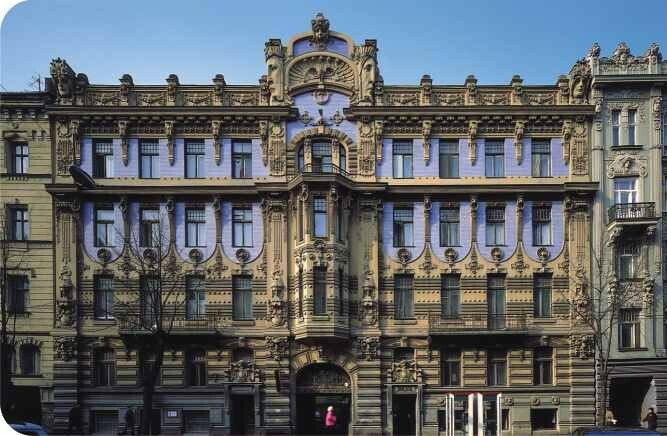 Over 700 buildings were constructed between 1899 and 1914 based on local variations of the new style: dubbed "National Romanticism" between 1905 and 1911 and "Perpendicular Art Nouveau" from 1907 onwards. This peculiarity in Riga occurred because of economic and cultural circumstances. The end of the 19th century coincided with the city's greatest period of splendour, thanks to its industrial and commercial progress. During this time, Riga became the main Baltic port and Imperial Russia's fifth most important city. This prosperity led to an increase in population and a construction fever that expanded further than the former limits of the city's walls, which were destroyed between 1857 and 1863. The city's new expansion plan was based on an area in the old town's perimeter, in the leafy Esplanade Park area. New residential and commercial districts were built here and these were based on a plan that regulated the number of buildings, as well as their height and width. Within this context, two events marked the arrival of this new architecture to Riga: the Latvian Ethnographic Exhibition in 1896 and the Industrial and Handicrafts Exhibition in 1901, which commemorated the city's 700th anniversary. In contrast to other European exhibitions, those in Riga were dominated by pavilions designed in the new style. 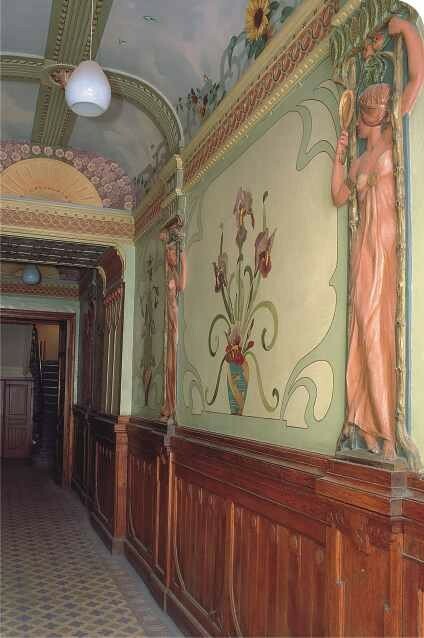 Within three years, Art Nouveau would become the only design style used in construction, adopted in the main by the new generation of architects who graduated from the Riga Polytechnic Institute. These architects were responsible for creating a stylistic and structural variant of National Romanticism based on a Finnish architectural model. With its economy controlled by the Germans and politics by the Russians, the country converted culture into a symbol of Latvian identity. 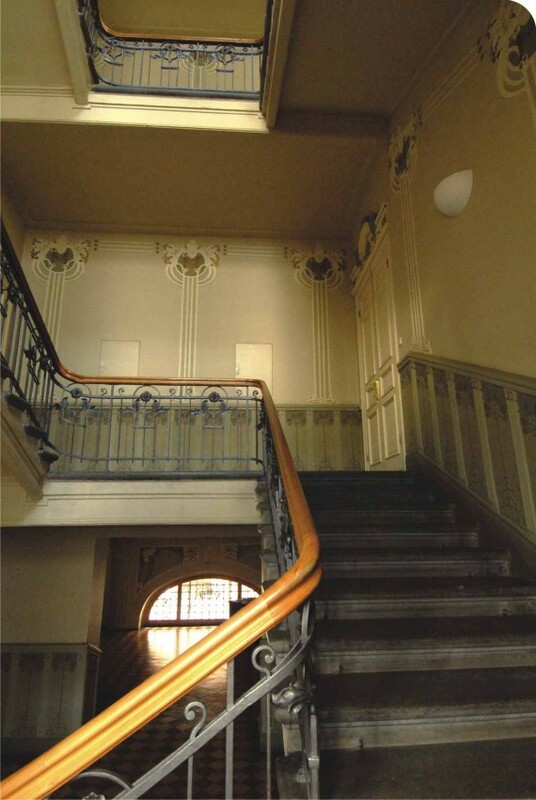 K. Peksens, E. Laube and A. Vanags popularised the use of local materials, the moderate application of local ornamental motifs and the construction of architectural elements in wood, such as gable roofs and narrow windows in the upper parts of buildings. The city's other architectural tendency, encapsulated by Alksnis and Schmaeling, was to include vertical structures in façades, which were given emphasis by integrated decorative elements. These perpendicular buildings make up over a third of Riga's architecture and are generally characterised by a certain degree of ornamental content based on German and Austrian architecture. There is also a series of buildings far removed from this sobriety and these were built at the beginning of the century in the city's medieval centre and on Alberta iela, most of which were designed by the Russian architect Eisenstein and the German architects Scheffel and Scheel. The floral, geometric and sculptural motifs decorating these buildings create rhythms that are typical of eclectic architecture.